Mining is an industry which has always been male-dominated, regardless of geographical location. There have been positive steps which have helped to integrate women into the industry, but females continue to be under-represented and Mining is still largely a man’s domain. The study ‘Mining for Talent,’ published early in 2013 and conducted by Women in Mining (UK) and Price-Waterhouse Coopers, stated that the mining industry has the lowest number of women on company boards of any industry group worldwide. South Africa is one country which is leading the rest in terms of employing women in the mining and minerals sectors. Up until the 1990s, legislation meant that women were not permitted to work underground in South Africa. This all changed, and in 2002 the South African Mining Charter introduced quotas urging mining companies to employ a 10% female staff quota (where it was just 2% in the year 2000). South Africa in particular is an interesting case: the country, through its policies, has been working to rectify the injustices of its past by helping those who have historically been at a disadvantage. Certainly, over the last few years there has been a rise in the number of women qualifying in technical roles as well as more traditionally ‘female’ roles such as office staff. The problem with this, however, is that many companies appear to have approached that quota as a goal – when in reality, it could be a fantastic opportunity for companies to far exceed the quota, initiating a truly diverse workforce more representative of the country’s people. There are incentives for women in SA to enter the industry. Bursaries have been introduced in an attempt to attract young women to mining, allowing them to compete in this male-dominated environment and giving them the opportunities they need to develop key specialised skills. The problem is that these incentives take some years to trickle down; there may be more females studying mining subjects at university, but their presence in management will not be felt until they have gained the relevant experience which will in turn open up the higher positions to them. Most mining companies face problems in retaining female talent. It’s a fair assumption to say that people must feel empowered and have their achievements recognised at work, or they will often leave to seek other opportunities elsewhere. A 2013 survey (the findings of which can be viewed here) conducted by Women In Mining at an operation in the Northern Cape of South Africa found that men on the whole were supportive of women in core or technical positions, but one man, for example, stated that “females tend to cry easier than men and once a month some of them phone in ill for one or two days… the fact that you have put a female into the mine does not suddenly turn her into a male,” which is indicative of some of the attitudes women must face when working in an industry which is still so male-dominated. We spoke to Wilhemina Manaso, who works as Mine Manager in Rehabilitation for BHP Billiton over in South Africa, to discuss her experiences at work. Wilhemina was the first female at her mine to receive her Mine Manager’s certificate back in 2010. She has found on the whole that in the time she has been working in mining, perceptions of women in the industry have changed – but that it is a slow process and still tough even now for women to get ahead. I’m a Mine Manager, so I really don’t have many issues now, but I remember when I started as a graduate in 2005 I was one of the few ladies working in the mines. The guys were just so surprised and shocked that one day they would have to be led by women that I got so much resistance from them.” Wilhemina recalls that at the beginning of her career, men would even threaten her, but right from the start she stood firm in her career choice. The truth is that although there are still a relatively small number of women working in the mining sector, those that are there are carving careers for themselves despite conditions which are typically not as favourable as those of their male counterparts. These women are paving the way for employment and gender equality, and their rising numbers are beneficial to young women who, in the future, will find it easier to pursue their careers as a direct consequence of the efforts of women like Wilhemina. What are the main barriers for women in Mining? Many of the problems women face when pursuing a mining career are those which arise due to women’s traditional role as the primary caregiver. It can be very difficult for females to achieve a good work/life balance because of the industry’s constraints in terms of flexibility, remote site work and juggling child care with often unsociable hours and expectations of overtime. These problems arise irrespective of the worker’s gender, but naturally a higher percentage of women assume the role of primary caregiver, so of course these issues are more visible to them. Mining is not a glamorous occupation, but it can be a fantastic career. Mines were not designed with women in mind, “Most women do not feel encouraged to work in mining because of the conditions that we work in. Most mines, even now, still don’t have toilets. Imagine going to work all day with no facilities… I don’t think the Mining industry is really ready to help women work in comfort.” But this doesn’t mean it’s impossible for women to get ahead, as conditions are improving all the time. 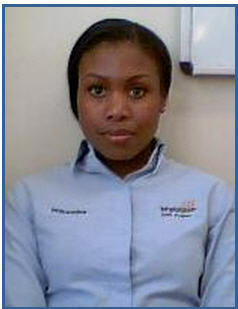 In South Africa, women with Wilhemina’s skills and experience are in high demand. “Every time an opportunity is coming up, each company is approaching you because you’re one of the few women that is able to work in the mining industry and not only in the mining industry but doing other things such as the blasting and drilling; doing exactly what men are doing – not just the medical roles.” This is likely because of the 10% targets for staffing women that many mining companies are struggling to achieve, which only proves that in SA, the opportunities are there for women. Cynthia Carroll, Wilhemina's mining industry heroine. “Remember that you are working with men and they will act like men. Don’t take anything personally; if they are being too hard on you, you can challenge them, but don’t take it to heart. Some of the men will try to bring you down as much as they can.” Being defensive will not help you to get ahead! Find yourself a support network, whether it’s other women at work with whom you can share your experiences, or just someone who knows how the industry works and can give you sound advice. Treat people well, don’t rise to confrontation and you should be treated well back. You are there to work, you will not receive special treatment. It will take the men time to realise that you’re a valuable member of the team, but Wilhemina’s team are now very supportive. Get in there and give it a good go!